When I was contacted by xFyro back in June, I had never heard of them before. Their offer of letting me try completely wireless, waterproof in-ear headphones intrigued me, though, so I accepted their offer. The “true wireless” headphones I tried so far have been underwhelming to say the least, with various issues that made them unappealing and never truly complete. Sound has been the most notable issue in headphones I have tried until now, so I was quite surprised to find the xFyro xS2 got it right – more than alternative I have found until now, at least. Alas everyone knows that perfection does not belong to this world, though, and the xS2 has other issues to deal with – most of theme severe enough. Disclaimer: thank you to Adam at xFyro for arranging the shipment of a unit to me. I won’t have to return it, as far as I know. They sell the xS2 on their website at $125. Update (19/03/2019): before I published the review, I contacted xFyro and told them about the outcome. We had a bit of discussion, but after I published the review they told me the unit I got was flawed and did not reflect the performance of the product; moreover, they told me they would update their product based on the feedback. xFyro then sent me a new unit so that I could test it. This is why I updated this review. I will not remove the things I wrote on the first sample; rather, you will find them with a strikethrough line. New additions will be in italic. 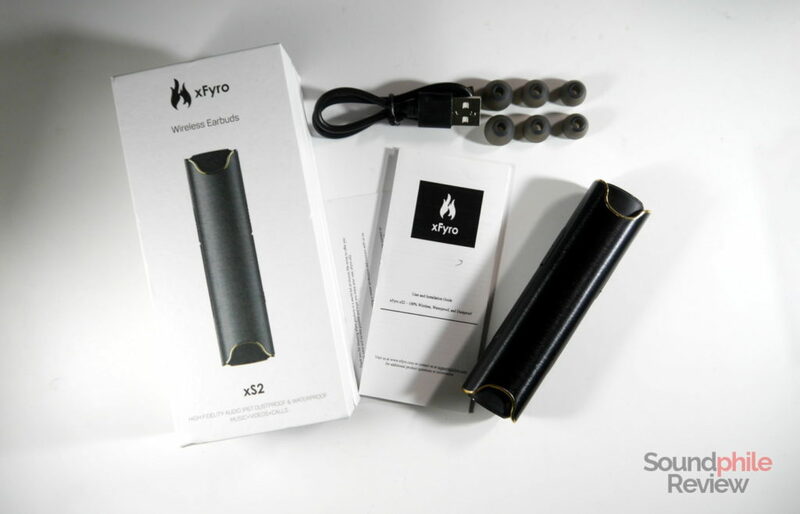 The xFyro xS2 comes in a cardboard box which holds the earphones in their battery case, a micro-USB cable and three sets of eartips. 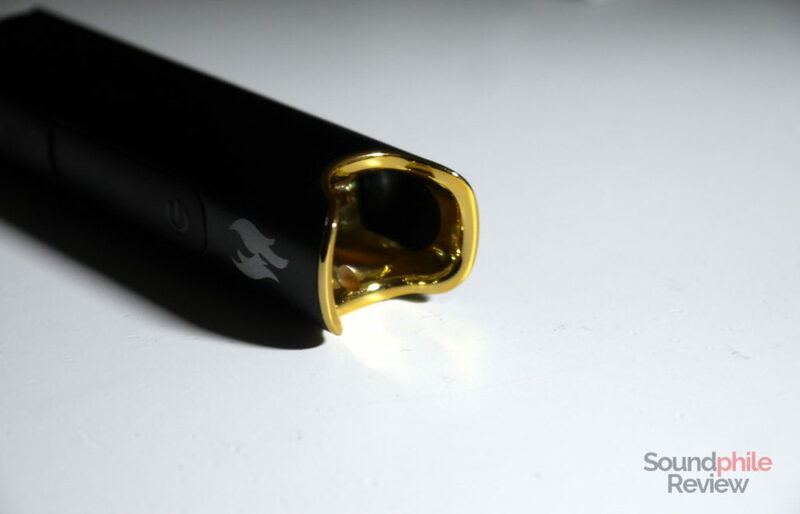 Like most “true wireless” earphones, the xFyro xS2 feature a case with an internal battery to charge the earphones when they run out of charge – and to avoid using a connector on the earphones themselves, as that would take away precious space. The case is made of brushed metal (aluminium?) and has two openings placed at each side: they’re the receptacles where the earphones are placed and they’re covered in plastic (in my case, in a questionable glossy gold colour). 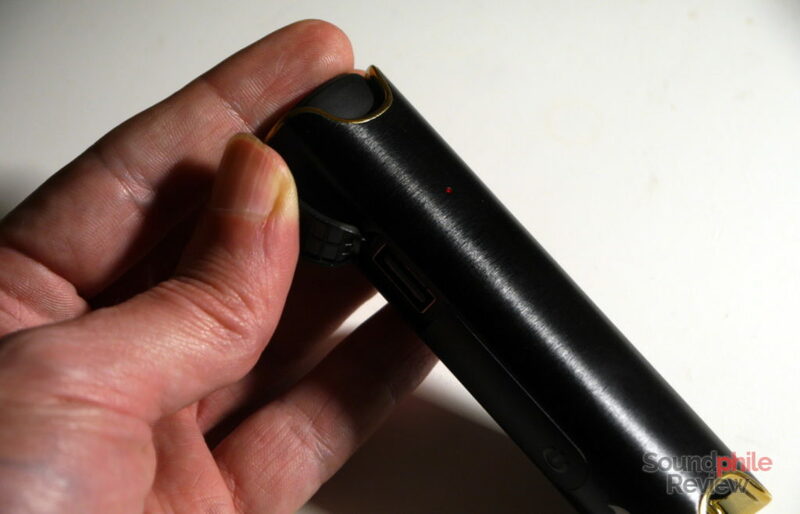 The two smaller sides also host rubber inserts where the power button and the input and output USB ports are placed: not only is there a micro-USB port to charge the internal battery, but there’s also a full-size USB port so one can use the case as a power bank. Both ports are tucked away behind lids that completely shield them from the exterior. The earphones themselves are pretty anonymous in their design and resemble many other wireless headphones on the market. 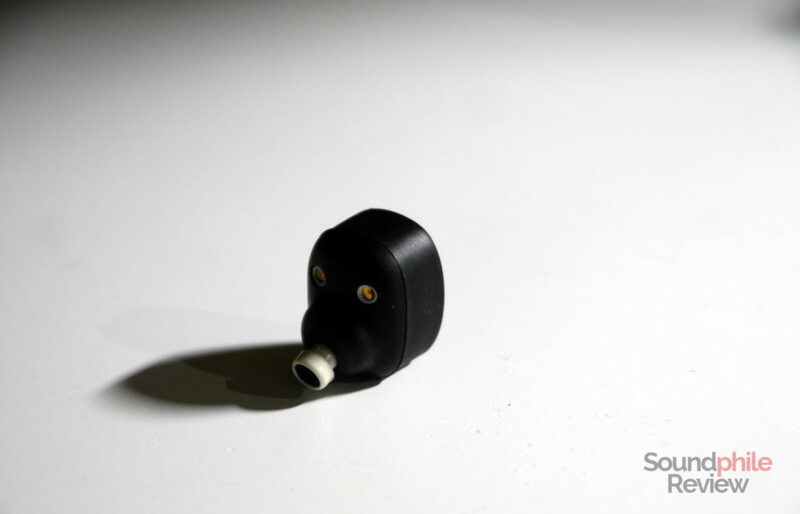 The shells are entirely covered of black rubberised plastic, save for the nozzle which is made of white plastic. The faceplate doubles as the power button, as clearly stated by the usual power symbol, and has the channel written on it. There’s also a hole which hosts the microphone. 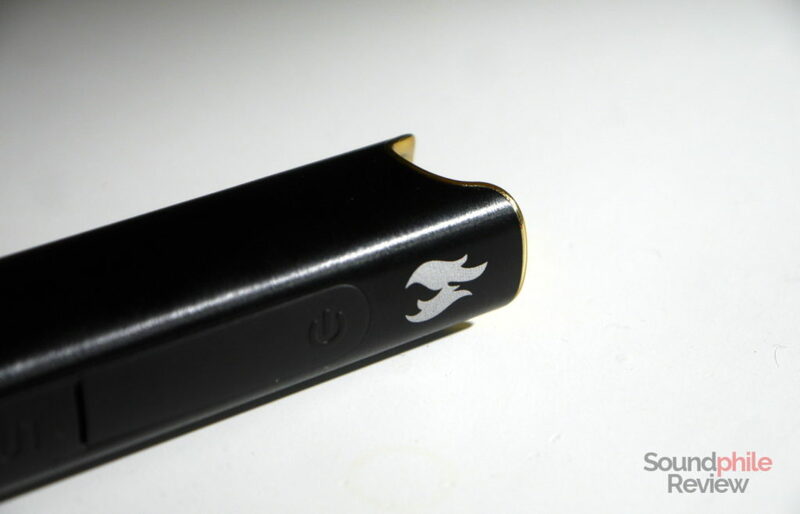 The part that faces the ear has two metallic pins that allow you to charge the earphones when they’re inside the case. Build quality is far from being flawless: the grilles covering the nozzles can be easily removed by just pressing a thumbnail on them, de facto exposing the internal parts to dust and dirt and potentially to damage. The grilles are just glued on the plastic nozzle, without further securing mechanisms – and the glue is not that strong. Plastic fusion lines are also apparent and not what I would expect to find on $125 earphones. The case also is not really well finished, with the plastic parts that feel very cheap and expose parts with the plastic’s raw colour. More generally, the xFyro xS2 feels cheap – not like headphones in their price bracket. The xFyro xS2 are IP67 certified, so they can be submerged at up to 1 m and for up to 30 minutes. They’re therefore suitable for use in the shower or under the rain, but not for anything that would involve higher pressure (e.g. swimming) as that would cause damage most probably. Comfort is very limited, especially if you stick with stock eartips: those can’t ensure good grip and will almost guarantee the earphones to fall off. I actually coudl not even make them stick at all, so they would promptly fall off (on top of not being able to provide any kind of isolation). 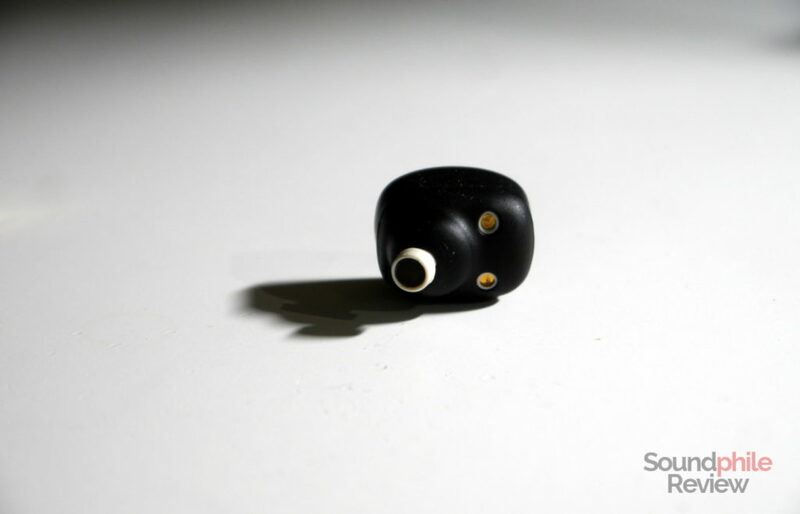 Using foam tips, such as the Comply Sports Pro I featured in my best eartips guide, I had the xFyro xS2 stay in place. Comfort is, however, not that good even using foam tips; in fact the very shape of the earphones causes issues in placing them to find a comfortable fit, so that using them for more than one hour leads to fatigue. And, paraphrasing Yoda, fatigue leads to pain, and pain leads to hate. Isolation is decent at most; no matter what eartips one use, the best the xFyro xS2 can do is reduce the volume of ambient noise a bit, but they won’t ever provide enough isolation to shield you from the noise of a busy street or of public transport. This may be good if you’re planning to use them while running or doing sports, but not if you wanted to use them when commuting. xFyro writes “Listen to music while swimming, in the rain, or even while you shower!” on their site. Alas, only the latter two things are feasible: you won’t be able to listen to music with any Bluetooth headphones while swimming, as alas water has the bad, bad habit of shielding from electromagnetic radiation… which is, incidentally, what Bluetooth relies on (to be specific, on 2.4 GHz waves). This is high school physics, so nothing fancy really. The rest is true, however, and I happily used the xFyro xS2 while showering and only found them to have issues with water when washing my hair – as water would then cover the earphones and prevent them from getting the signal. Talking about signal, the connection (handled by Bluetooth 4.2) is far from being stable and it actually drops continuously, leaving one or even both earbuds without sound for a few instants before recovering. This happens irrespective of source device and distance. It is especially annoying (and borderline unnerving) when an earbud stops playing music for a second, then resumes playing, and then the other earbud stops. There is also a high-pitched sound (around the 10 kHz mark) in one of the earbuds and that seems to be caused by bad connection, as it disappears moving the head while the source device is at fixed distance and position. The connection is fairly stable; I could walk around the house while leaving the phone on the desk (in one corner of the house) without the signal dropping, unless I was at the opposite side of the building. The company now touts Bluetooth 5.0 as the standard used on the earphones, as opposed to the Bluetooth 4.2 standard used before; I have no way to test this claim myself, but it seems like there are tangible improvements on this front so I will concede they may have changed something to the better. There is no trace of high-quality codecs such as aptX or AAC, so one is stuck with lower quality codecs and therefore lower quality music. Battery life is probably the only (relatively) good thing here more than sufficient for this kind of product, as the xFyro xS2 is able to last for three hours on a single charge, which is a bit under the average but still in the acceptable range. Three further charges are possible using the case, so this brings the total to 12 hours. The website states that the xFyro xS2 are able to play music for 5 hours, while the box says 4 hours – either figure is a bit overblown. Microphone, as expected, can’t do a great job at picking up the voice and separating it from the surrounding noise. It’s good for calls when there is little noise, but you’ll always be heard as distant and not always clear on the other side. I tested the xFyro xS2 using a Honor 9 smartphone as source. It was loaded with FLAC and MP3 files. Alas xFyro does not publish any kind of acoustic spec on the xS2 (and contradicting specs for everything else…), so it’s hard to say anything about this. There is a very large amount of background hiss that is easily noticeable even with loud tracks. It makes listening to the xFyro xS2 fatiguing and distracting, independent of how much surrounding noise there is. What I can say, however, is that the xFyro xS2 are tuned like many other earphones targeting the general consumer – so they have no sub-bass, a lot of mid-bass, relatively balanced (but warmish) mids and laid-back treble. While this is in fact even welcome, when compared with many other “true wireless” products that hardly have any bass, it is not the best tuning one can hope for. On top of this, the overall level of detail is very low and barely enough to make out even gross details, not to speak of minute ones. The xFyro xS2 are good to provide some background music and nothing more – which is fine in and of itself, but too little for a product that costs more than $100 if you ask me. Just like detail retrieval, everything else technical is barely sufficient: soundstage, imaging and instrument separation are actually poor, and only give you a general idea of what’s going on. Again, that’s fine for some background, but just for that. Bass is Beats-like, so it’s bloated and downright invasive. Surprisingly it has some depth, as it stops around 40 Hz, but the bloat is overwhelming and it comes in the form of a boost of mid-bass frequencies that makes bass as a whole appear almost monotonous. It is often too much and it leaks over the mids, taking the front of the scene and leaving everything else in the background. Control is very low, so that everything sounds mashed up, and there’s no real impact even in tracks that normally carry a lot of impact. One thing I noticed is that there seems to be some kind of parasitic hiss when low frequencies are reproduced: going below 50 Hz creates a faint high-pitched tone that plays along the lower notes. I don’t know if this is due to the driver doing odd things or if the internal DAC/amp is concerned, too. Midrange is warm, with the lower section emphasised over the rest, but is pretty good otherwise in terms of tuning. It’s decently balanced and it has the right emphasis, when it’s not overshadowed by bass. The level of detail is low, but it conveys all the necessary information to understand what’s going on. Treble is laid back and not really extended; it sits quietly in the background, as if not to disturb bass and midrange. Detail is low, and coupling these two facts makes for a poor experience. In fact it creates a relatively flat treble section – and “flat” is not being used in a good sense here. As for which genres are nice to listen to with the xFyro xS2, I’d say anything that requires lots of bass: electronica, hip-hop, and so on. Definitely not genres that require emphasis on the midrange or treble! The xFyro xS2 are decent headphones, but they are apparently out of their natural price positioning. If they costed around $50, some of their flaws would be acceptable considering how they sound, but at $125 they’re no match for headphones costing just $20 more that offer much better build, much better wireless connectivity and much better software support. Not to mention better support. I mentioned multiple times in the review that the xFyro xS2 does not feel like they belong to their price range and they don’t look and act like $125 headphones. If it looks like a duck, acts like a duck and quacks like a duck, then one can feel certain enough that it’s a duck. So let’s get this straight: that is because they’re not a $125 product. 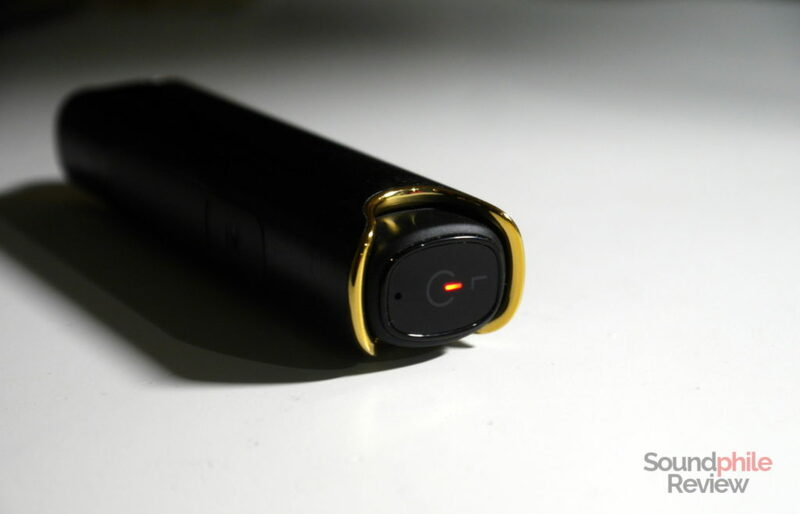 In fact the xFyro xS2 is a rebrand of generic wireless earbuds created by some obscure Chinese OEM. 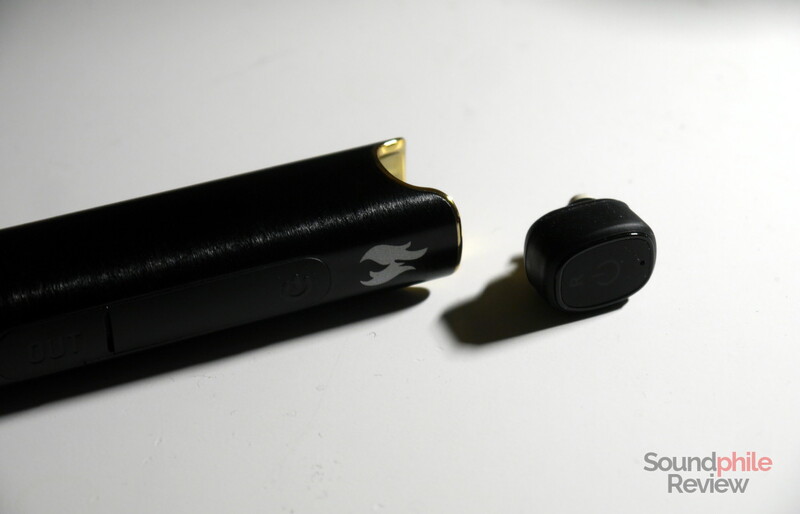 You can also find them on the market as the $90 MXERS Audio xBOLT – they are actually the same earphones! (well, the xBOLT come in a wooden box which is far more stylish than the xFyro’s cardboard…) – or even these $47 Ivosy earbuds, or these no-name $40 DETIN earphones, or these $36 HiOrange-branded ones. At $35, they would be quite good actually. But I guess I could find them priced around $25 if I looked hard enough on AliExpress. So their flaws appear much more plausible (and acceptable) at 1/3 or 1/4 the price. Now, I don’t have any definitive proof these are the exact same product, but the similarities are more than enough to justify what is now more than a legitimate doubt. Once again: if it looks like a duck… The company – they were informed of the outcome of the review well before publication, so I gave them the chance to clarify the situation – gave me a generic reassurance that the xS2 are different, without actually denying that they come from the same source nor doing anything else to clarify the situation. I had a few conversations with the people at xFyro and they clarified the situation a bit, even changing stance on the matter. At first they told me that the other were just copies of their own design, but then they conceded that they are basically the same earphones in design with updated internals. I cannot prove this myself, as I have no access to the other earphones – apparently they’re not sold in Italy, and it’s a bit difficult (and overly expensive) to get them here. They did however change something between the first and the second sample, so I can say that I may believe them when they say they’re different. I still maintain that the earphones are more expensive than they should be: for the same price one could buy better products, and these would be better positioned if they costed $70-80 – that would be a perfectly fair price, even if these were just a rebranded OEM design, given xFyro should offer better support. There’s one thing the xFyro xS2 get (more or less) right, and that’s sound. It’s not great, but it’s good enough to convince me that “true wireless” earphones could be tuned properly and not give you headaches every time you try to listen to them due to excessive treble (I’m looking at you, Jabra). It won’t blow your socks off, but the sound is good for commuting and doing sports – it is enough not to let one regret not using other headphones, though of course it’s still pretty limited and definitely not targeting the average audiophile. Are the xFyro xS2 good? They’re acceptable, if you’re ready to bear with a few issues here and there. Are they $125 good? No freaking way (sorry if I got a bit too carried away…). They have way too many issues to carry that price tag. And that is why I can’t and won’t recommend them. On the contrary: stay clear of these. As a final comment: I still do not recommend getting them, but my impression of the new sample is much better than that of the first one. They still are too expensive for what they offer, but they’re not as catastrophically bad. The xFyro ARIA, their new “true wireless” design, is much better and it is the product I recommend you to get should you be interested in buying something from them (or should you be interested in buying a “true wireless” product that doesn’t cost an arm and a leg with decent sound quality).